Ok, maybe not rare, but its a form. I on the other hand, may be in rare form. I’ve been replacing lyrics in my head all day. Currently “Hazy shade of winter” by the Bangles, somehow involving Jonathan Winters, but I don’t have all the lyrics worked out in full yet. I made the form for the Gibson OO build. I’ve seen many different ways people do this and basically figured out what I liked and added an alignment feature based on how large injection molds work. Used my dad’s shop. 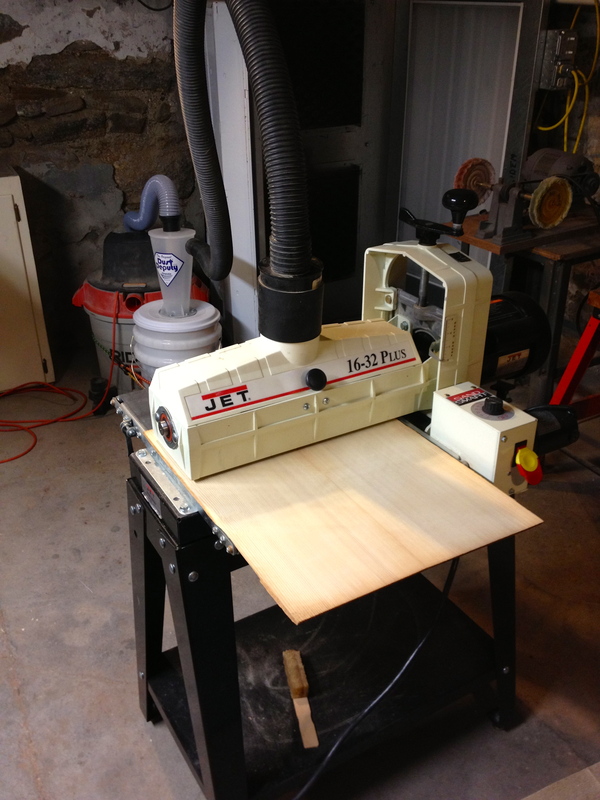 He has the tools that make it easy, such as a belt sander and oscillating spindle sander. I traced the form onto some 3/4″ ply. 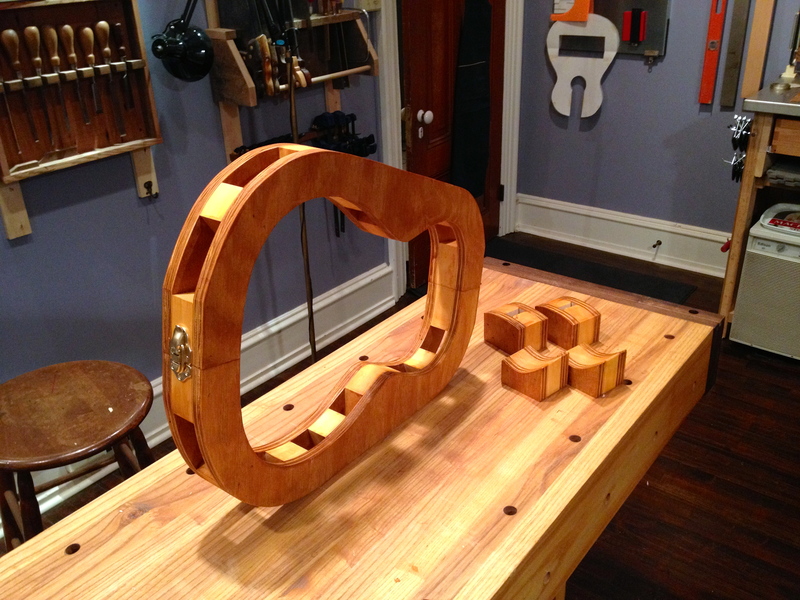 Screwed four pieces together and cut them out on the band saw. Used the sander to smooth to the line. 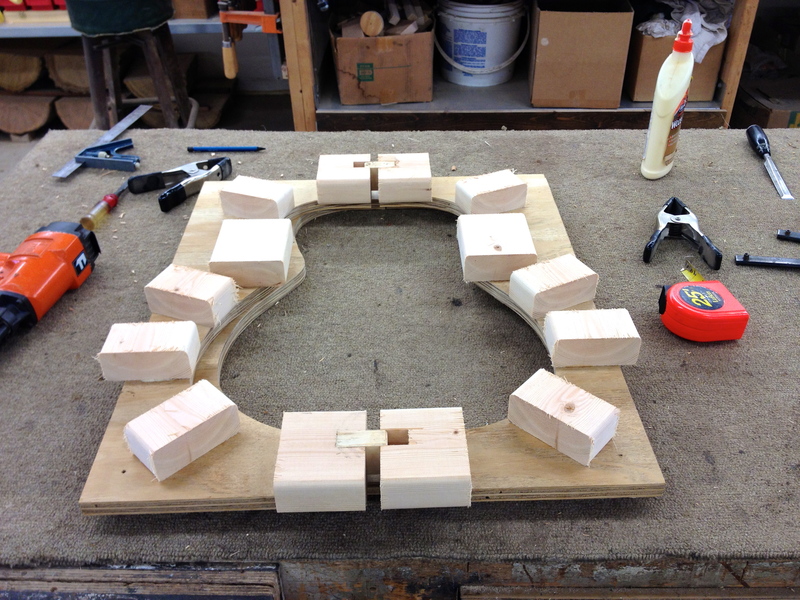 Split the forms into two halves and blocked with pieces of 2×4. Air nailer and glue to attach the blocks. 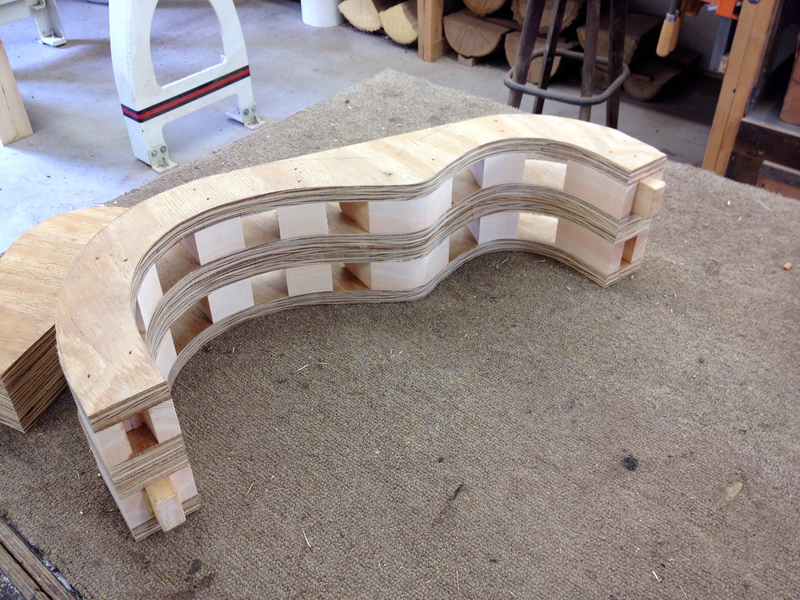 I dadoed an alignment block on the top and bottom where the forms come together. 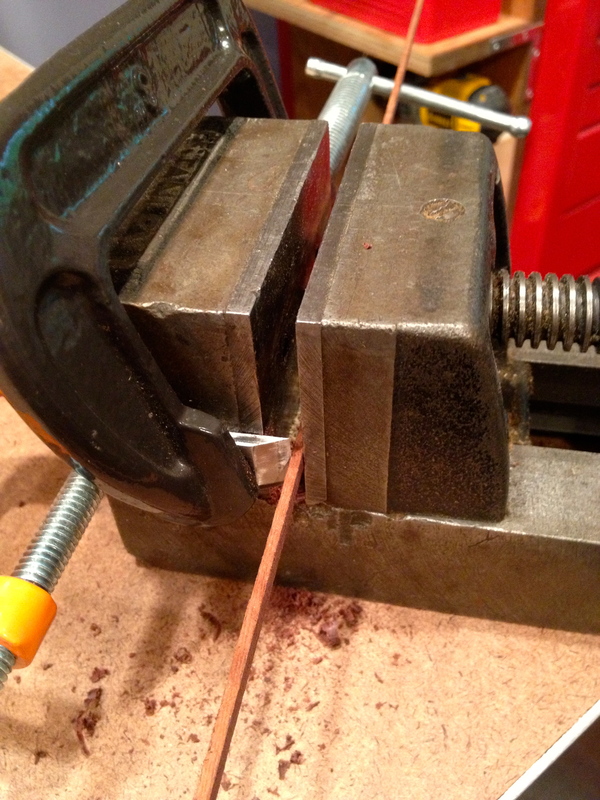 This makes a very positive 2 axis alignment and is much easier than aligning dowels. 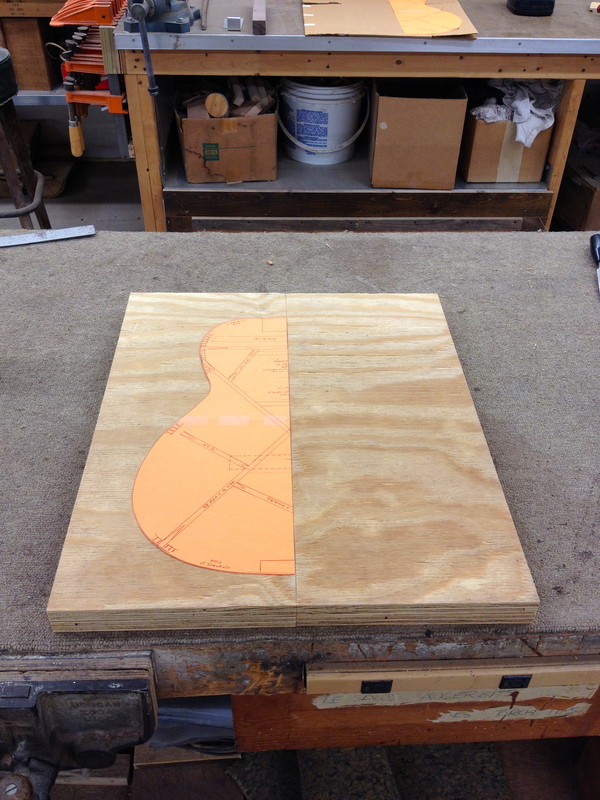 Added the top layer of plywood. 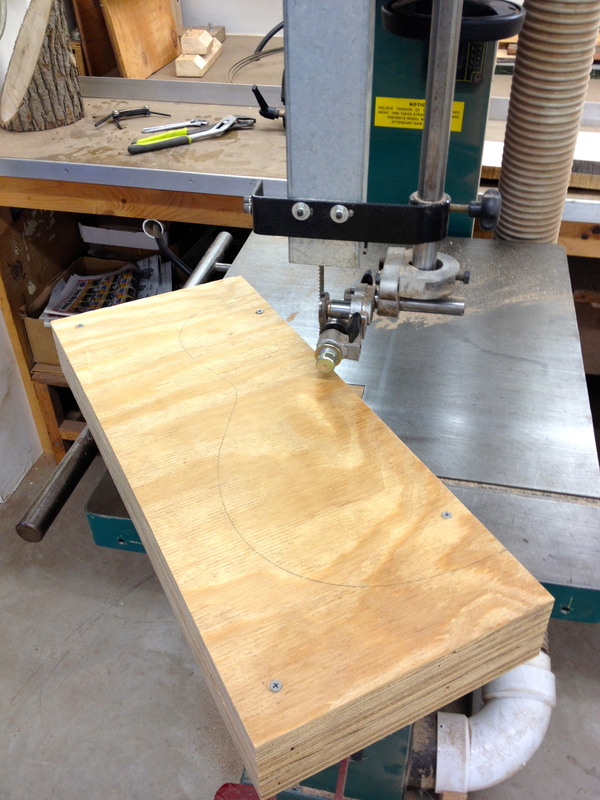 Cut the overhanging blocks and the outside perimeter on the bandsaw. Then smoothed with the sanders. Made interior clamping cauls with the excess. Took the mold back home to my shop. Sealed with shellac and put on trunk hasps to keep the mold together. Its really solid, but comes apart in a snap. Dog sitting at my parents tomorrow, so I should have more shop time there. 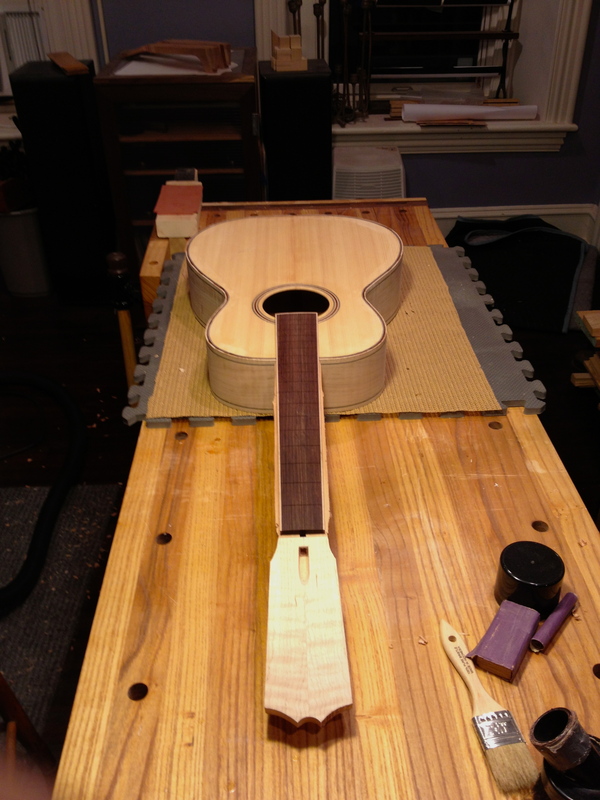 Need to work on resawing more maple backs and sides. I can also cut basswood neck and tail blocks as well as kerfing if I have time. Still up in the air on neck wood. 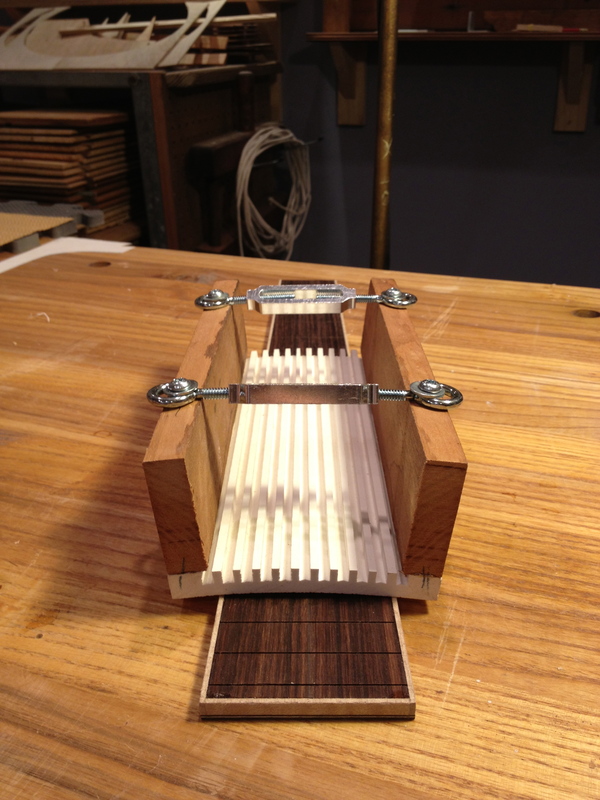 I really like flamed maple with flamed maple, worried about how brite it will sound. 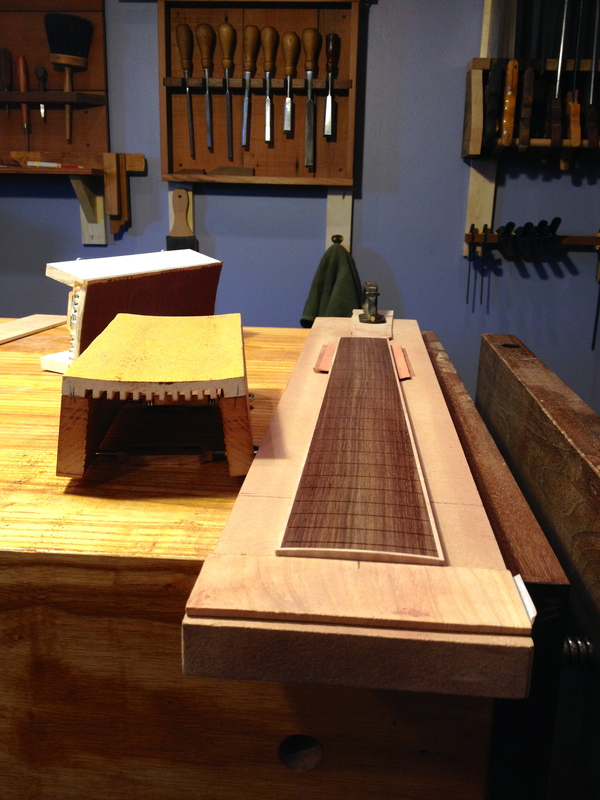 I could also go straight mahogany or spanish cedar on both the maple and cherry versions. Thoughts?